Warsaw, September 15, 2017 -Systemics-PAB was the main sponsor of the National Symposium on Telecommunications and Computer Networks (KSTiT) held from 13th to 15th September in Warsaw, Poland. The objectives of the conference was to present the conducted scientific as well as research and development works in Polish and foreign research centres. The participation in KSTiT has provided an excellent opportunity to hold the meetings of scientific and business communities, operating in the fields of modern telecommunication and ICT. 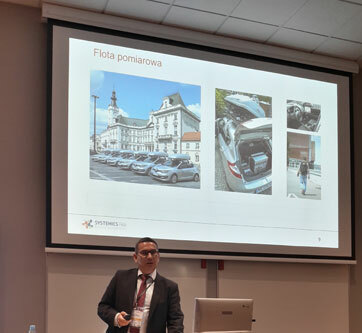 During the “Quality session” Jan Kondej, Technical Director at Systemics-PAB presented the new practical methods for video quality measurements. The non-reference model was presented based on ITU recommendation J.343.1. It proposes to use VMOS score for the video quality assessment. VMOS allows to assess what user sees on its display independently on player application used. Both buffered video and live streaming video quality could be assessed using VMOS. Dariusz Zmysłowski, Director of Sales Department at Systemics-PAB held a presentation on “Tools for the monitoring and testing of security of network environments” during which the current trends, motivations of cyber crimes and techniques of cyber attacks were presented as well as effective methodology of testing the state of security of the infrastructure of communications networks and applications and services. 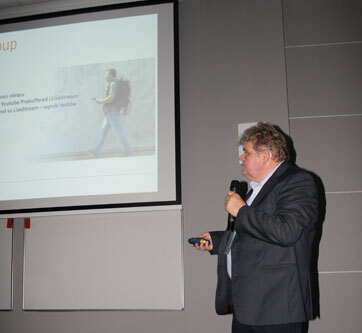 There were presented the newest products of our partner Spirent Communications (e.g. Cyber Flood, Security Labs) for the advanced testing of security of applications as well as for the complex analyzing of the performance of the network and services. 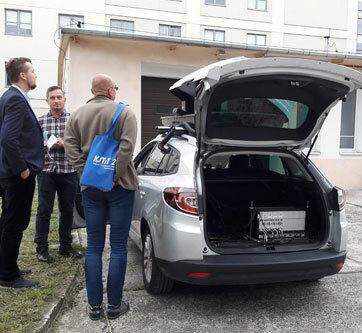 The presentations were accompanied by the demonstration of one of our measurement car with high-quality equipment onboard.